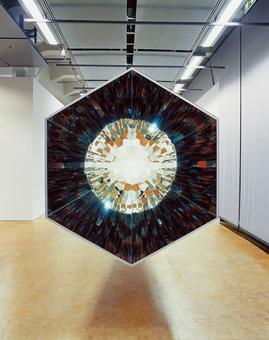 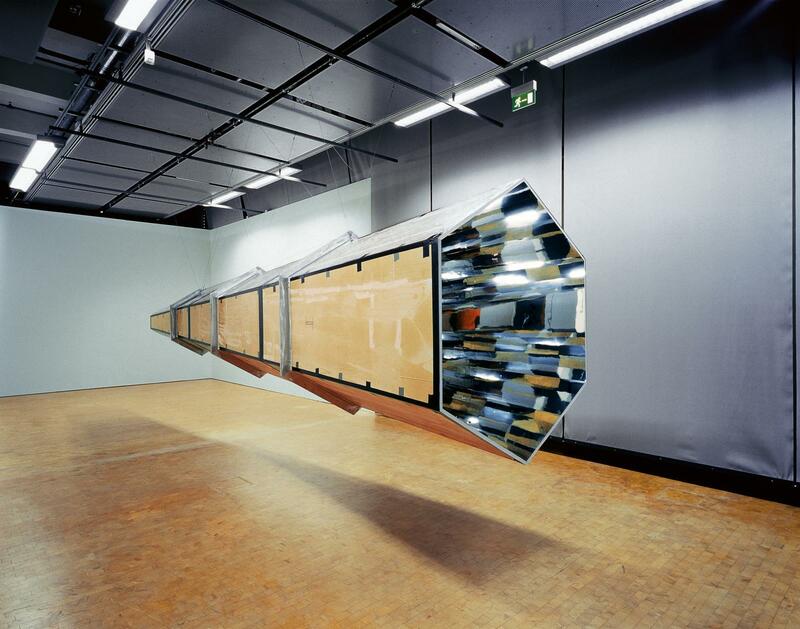 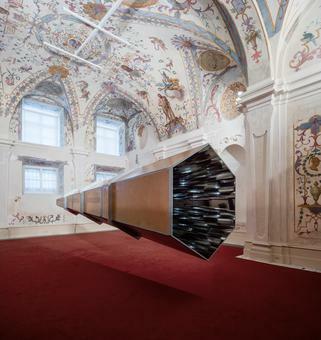 Kaleidoscope consists of six tapering mirrored panels, crudely fixed together with bolts and gaffer tape to form a seven-meter-long hexagonal optical device that hangs from the ceiling. 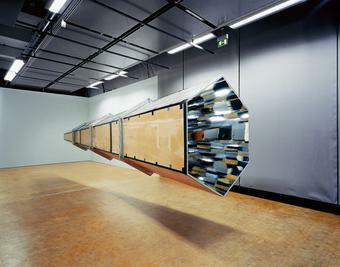 Looking through each end of this kaleidoscope, viewers see one another and the surrounding space multiplied in innumerable reflections. 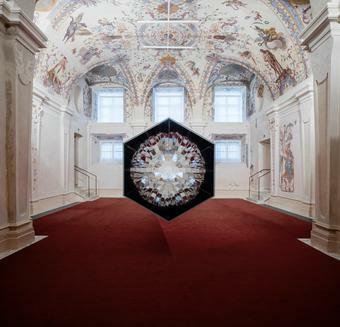 These, superimposed within the kaleidoscope’s inner facade, create a myriad of prismatic forms and rich interactions of light.